Sixty six gentleman were on hand for the final Wednesday Men’s Night for this season. And carding a “28” on the back nine, Wally Lott, Aaron Lott, Tony Young and Tom Hummell took the honours. 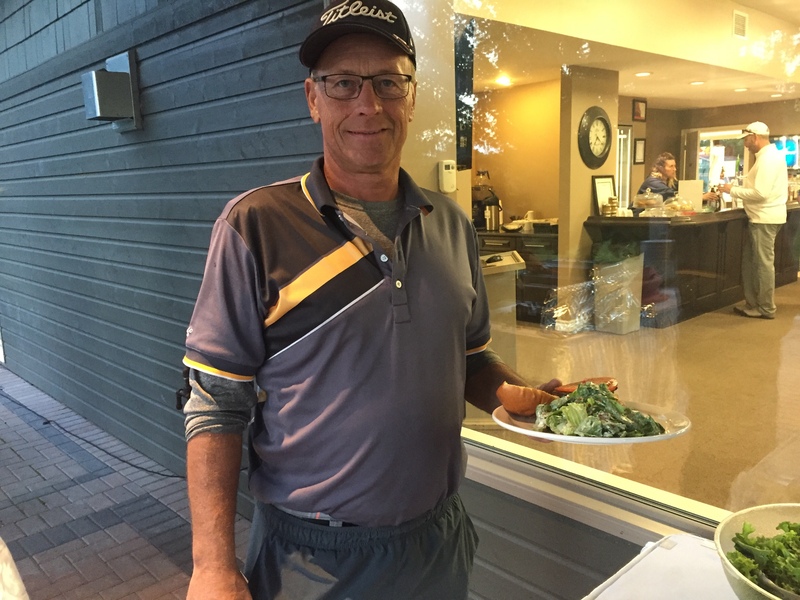 Kim Bourgeois enjoys a Burger and Caesar Salad as we celebrated “retro dinner night” off the BBQ for our Men’s night dinner. Memories of the old trailer and patio. This was our final Men’s Night for the 2018 season. Thanks to everyone who participated throughout the year, and to our sponsors for being a part of our season. A reminder that our Members Closing is Sunday, September 30th and is open to both Osprey Members and guests, including those none members that participated in one or more section over the season. Click here for more information or to register.